Check Point Software Technologies Ltd. has revealed the number of malware attacks increased in October, as the company released its monthly Global Threat Index, a ranking of the most prevalent malware families attacking organizations’ networks. Check Point’s Threat Intelligence Research Team found that both the number of active malware families and number of attacks increased by 5% during the period, pushing the number of attacks on business networks to near peak levels, as seen earlier this year. Locky ransomware attacks continued to rise, moving it up from third to second place, while the Zeus banking Trojan moved up two spots, returning it to the top three. “Attackers want to be as stealthy as possible to reduce the chance they will be detected. Thus, business can no longer continue to operate a traditional security model. To fight these growing threats, enterprises needs intelligent next generation threat prevention solutions.” said Bhaskar Bakthavatsalu, Managing Director, Check Point, India & SAARC, “Business should look towards implementing prevention based security initiatives so as to provide a healthy cyber security system. A prevention based approach helps identify both known and unknown threats and stop them real time.” he added. The reason for Locky’s continued growth is the constant variation and expansion of its distribution mechanism, which is primarily through spams emails. Its creators are continually changing the type of files used for downloading the ransomware, including doc, xls and wsffiles, as well as making significant structural changes to the spam emails. The actual ransomware itself is nothing exceptional, but cybercriminals are investing a lot of time into maximizing the number of machines that become infected by it. For the seventh consecutive month, HummingBad, an android malware that establishes a persistent root kit to carry out an array of malicious purposes, remained the most common malware used to attack mobile devices. Once again Conficker retained its first place position as the world’s most prevalent malware, responsible for17% of recognized attacks. Both second placed Locky, which only started its distribution in February of this year, and third placed Zeus, were responsible for 5% of known attacks. · ↔ Conficker– Worm that allows remote operations and malware download. The infected machine is controlled by a bot-net, which contacts its Command & Control server to receive instructions. · ↑ Locky– Ransomware, which started its distribution in February 2016, and spreads mainly through spam emails containing a downloader disguised as a Word or Zip file attachment, which then downloads and installs the malware that encrypts the user files. · ↑ Zeus - Trojan that targets Windows platforms and is often used to steal banking information by man-in-the-browser keystroke logging and form grabbing. · ↔ HummingBad– Android malware that establishes a persistent rootkit on the device, installs fraudulent applications and enables additional malicious activity such as installing a key-logger, stealing credentials and bypassing encrypted email containers used by enterprises. · ↔ Triada– Modular Backdoor for Android which grants super-user privileges to downloaded malware, as helps it to get embedded into system processes. Triada has also been seen spoofing URLs loaded in the browser. · ↑ XcodeGhost– A compromised version of the iOS developer platform, Xcode. This unofficial version of Xcode was altered so that it injects malicious code into any app that was developed and compiled using it. The injected code sends app information to a Command &Control server, allowing the infected app to read the device clipboard. 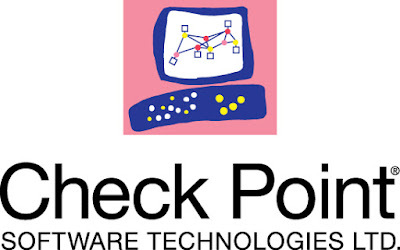 “To protect themselves, organizations must take a comprehensive approach and have advanced threat prevention measures on networks, endpoints and mobile devices to stop malware at the pre-infection stage, such as Check Point’s SandBlast Zero-Day Protection and Mobile Threat Prevention solutions, to ensure that they are adequately safeguarded from the latest threats,” added Shuchami. Check Point’s threat index is based on threat intelligence drawn from its Threat Cloud World Cyber Threat Map, which tracks how and where cyberattacks are taking place worldwide in real time. The Threat Map is powered by Check Point’s ThreatCloud intelligence, the largest collaborative network to fight cybercrime, which delivers threat data and attack trends from a global network of threat sensors. The ThreatCloud database holds over 250 million addresses analyzed for bot discovery, over 11 million malware signatures and over 5.5 million infected websites, and identifies millions of malware types daily.